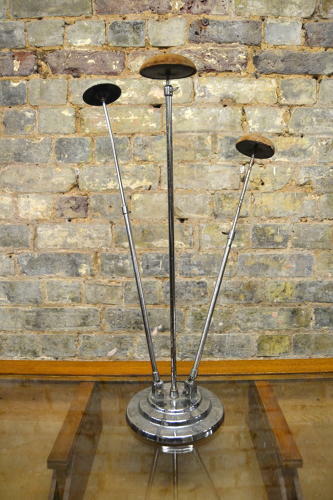 This is an original 1930s Art Deco chrome hatstand with three fully adjustable arms. The tops are covered with fabric. This is a fabulous rare display item ready for a new shop.